Indie500nails Reporting for Duty - Polish Etc. Hello people of the interweb! My name is Amy and I am a polishaholic. I can't claim a super cool nickname like my bestest, McG$ (see her post below, she's amazing! ), but some of you may know me as @indie500nails on Instagram. I'm absolutely thrilled to be joining Polish Etc. as a collaborator with such a fabulous group of nail ladies. Many, many thanks to Bec (I'm going to nickname her PolishEtc OG. Oops...she doesn't know that yet!) for inviting us to join her on her blogging journey. 1. How did you fall down the polish rabbit hole? I blame Pinterest. Came for the cat memes, stayed for the nails. One day I clicked through a picture and got linked to Jen's fabulous blog and the rest, as they say, is history. I started my IG account last spring and haven't looked back since. 2. What sort of nails do you do? I would describe my aesthetic as simple and clean. I keep my nails short and manageable for my lifestyle and really like a fresh look. Which is really my way of saying I don't have mad nail art skillz. When I do want to get my nail art on, I turn to my trusty stamping plates. My "signature" look, if you will, is a black and glitter mani. 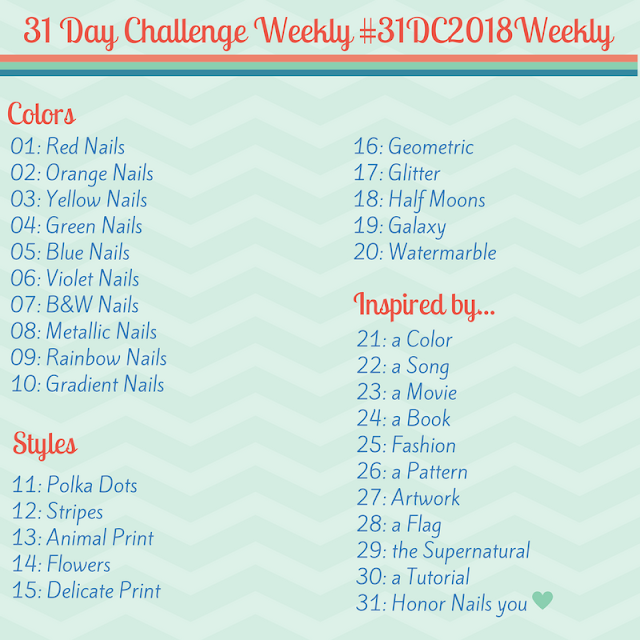 I also have a deep and abiding love of beautiful indie polishes, so you can expect a fair number of swatches from me as well. 3. What else should you know about me? I can't whistle. And it makes me sad. I'm serious! But in actual seriousness, I love to interact and engage with my virtual polish friends. Please feel free to contact me through IG or e-mail if there's anything else you'd like to know. If you thought I was joking about the omgblackandglittermanis, you were sorely mistaken, my friend! This is Lac Attack Felix Felicis over a black base. 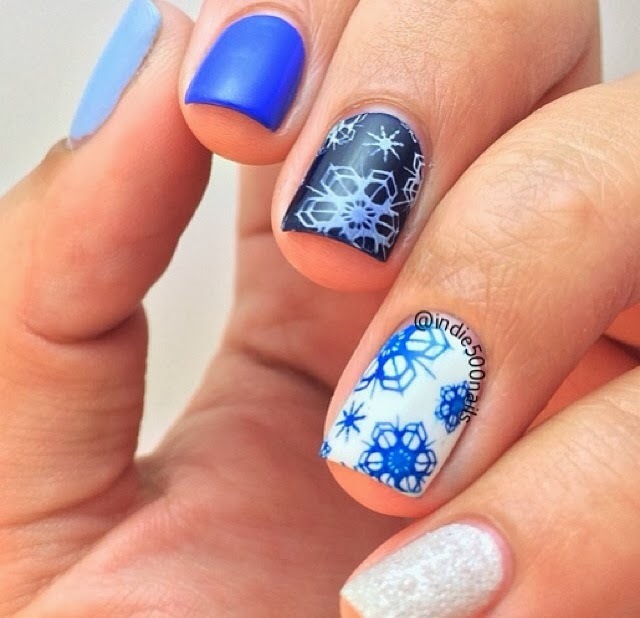 This is a little winter nail art I did recently featuring (gasp!) mainstreams. I used Essie Bikini So Teeny and Butler Please, OPI My Boyfriend Scales Walls and Solitaire and Cult Nails Time Traveler (phew! at least I got one indie in the mix). 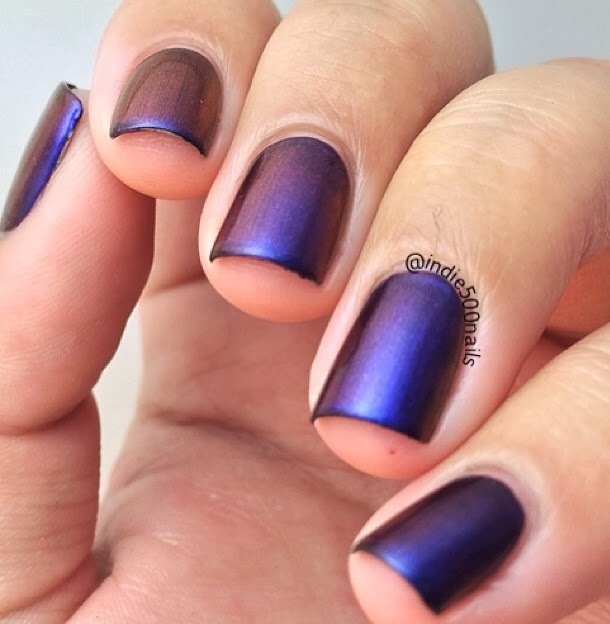 And this is a recent swatch of KB Shimmer Pigment of My Imagination over a black base. Okay, I'm going to go ahead and call it done for my introductory post. I look forward to sharing more with you soon! Thanks for reading my polish ramblings and welcoming me with open internet arms.